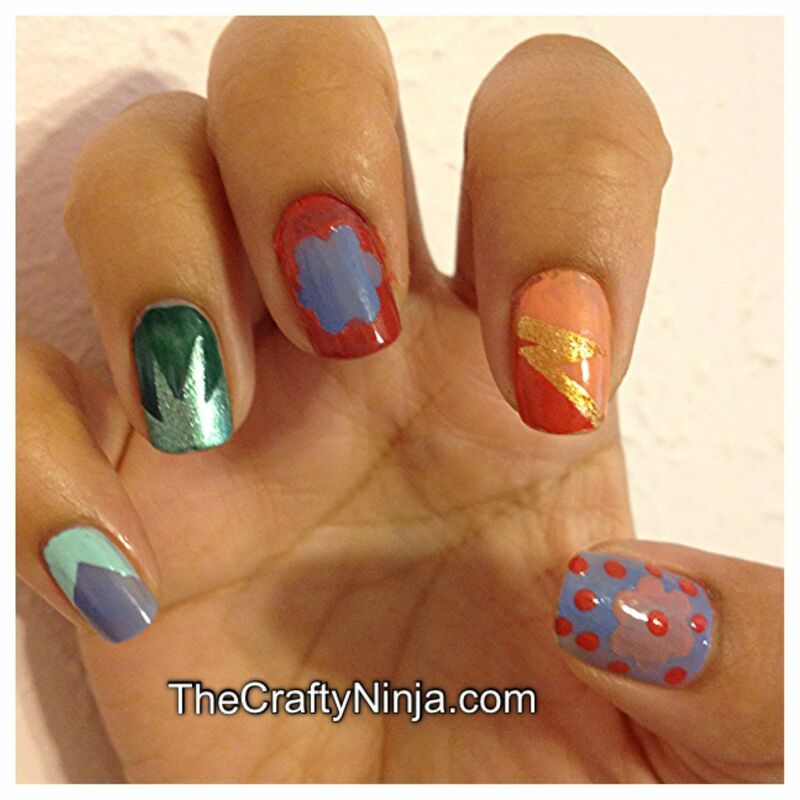 Here is different nail tape designs you can create using scotch tape and craft punches. I have included links below for the tutorials. Chevron Nails: I first used Finger Paints Base Coat then Essie Lapis of Luxury, and waited for my nails to completely dry. 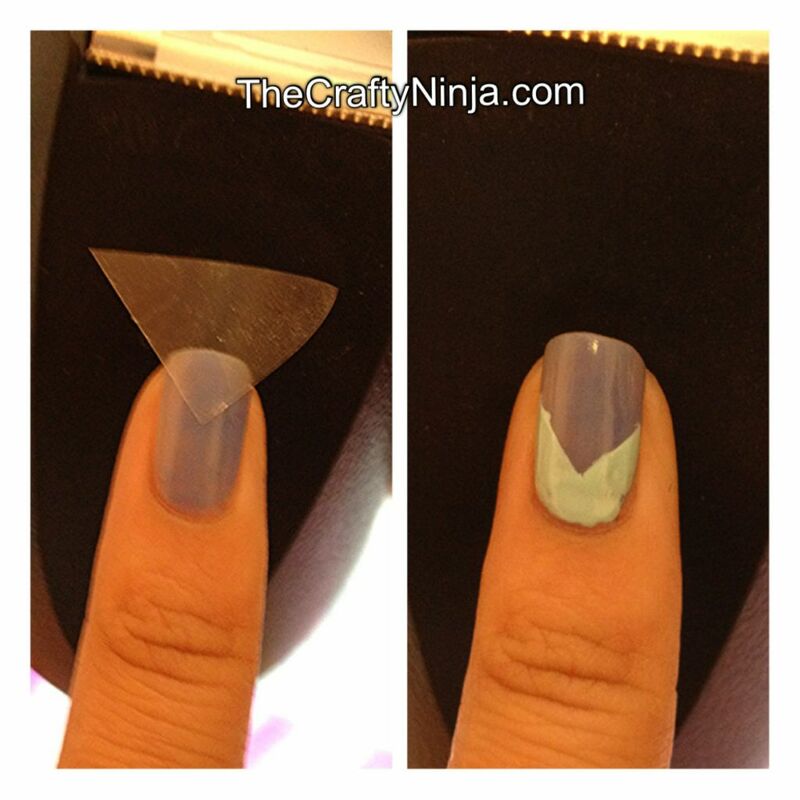 To create the chevron nail art I cut a piece of tape into a triangle and taped it to the tip. Then painted over with Essie Mint Candy Apple. Sealed with Finger Paints Top Coat. To create the Explosion nails (on the ring finger), the tutorial is here. To create the Flower craft punch nails (middle and thumb), tutorial is here. To create the Lightning nails (pointer finger), tutorial is here.